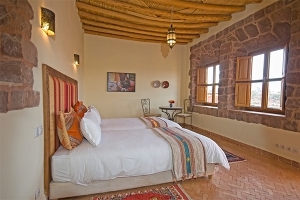 Kasbah Angour is a boutique hotel with 25 rooms & suites. 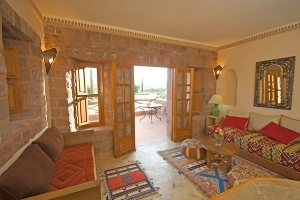 There are four categories beautifully designed with traditional Moroccan materials. 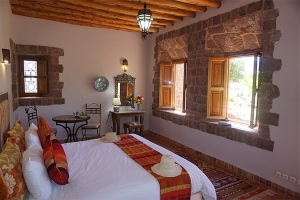 A comfortable stay is further assured by under-floor heating, air conditioning & no smoking inside.